Post subject: Is this a GT Psyclone? I'd say no, where the top tube meets the seat tube, the psyclone (or cyclone depending on year) looks all wrong... but most telling while the psyclone does have eyeltes of racks, they only seemed to come with one on the dropout, this has 2 on the dropout and then chainstay ones as well... its a much...much cheaper frame. I'd even go so far as to say its not a GT, but something else like a shogun or something that used the hellenic design. Yeah my thoughts too! All the research I did suggested the same conclusion. I have never seen a GT without the end cap and this thing has a gusset round the seat tube which I never saw before. Disappointing because I really need a Psyclone to go with my Xizang and Zaskar LE! 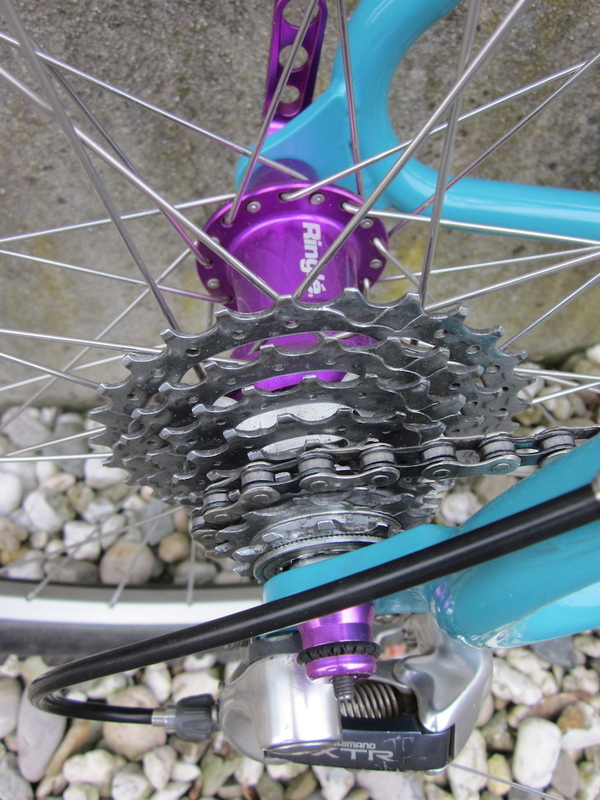 This has been on trademe for months, dropouts are all wrong, eyelets are wrong and a heap of other stuff. I did the same homework ages ago. Is it me, or does the front fork look like it might have come into contact with an immovable object at some point? only thing even remotely interesting on that bike is the front tyre...and that still pretty crappy. Last edited by Double-E F on Sun Oct 14, 2018 10:25 am, edited 1 time in total. There were some early gts without the end cap, but whether this is one? Apollo used the triple triangle too. I don't think Apollo used u brakes, they might have been later to the triple triangle trend. Shotgun had cable stops, not the tube under the top tube, and their u brakes were on chainstays. Possibly.